The New York Times made headlines with an anonymous op-ed from an upper-level Trump administrator. The administrator said they were acting to stifle some of the President’s more dangerous impulses that went against administrative duties. Discretion, whether you agree or disagree with its role in public administration, is a necessary part of government in the modern world due to government’s expansive role. This necessary action, in addition to filling in gaps missed by legislation, can reconnect people to government. It can restore faith in the political process and actualize the goals of modern administrative theory. The New Public Service (NPS) emphasizes public participation in the political process. One of the best ways to achieve this is through discretion, mostly with street-level administrators. Discretion enacted on this level helps the administrative state become an arm of a country’s democratic demands. For the NPS to administer discretion correctly, an organization must have a free and open form of hierarchy within the organization. This allows people faced with complicated problems to create unique solutions. The bottom-up approach here lets street-level administrators respond to citizens’ problems directly, rather than moving issues up the chain of command. Reports show that citizens who interact with administrators view the conversations as one-sided. Administrative discretion and organizational democracy create a dialogue between the administrator and the citizen, potentially restoring faith in government while increasing participation. The NPS, in its desire to create public participation in the administrative process, must accept that organizational democracy is the only way forward. Public participation will come from people believing that their voices are heard and their opinions matter. This leads to representative bureaucracy. Jessica Sowa and Sally Coleman Selden explain representative bureaucracy in their 2003 study, “Administrative Discretion and Active Representation: An Expansion of the Theory of Representative Bureaucracy.” They describe representative bureaucracy as a way to re-enfranchise underrepresented socio-economic and ethnic groups back into the political and policymaking process. This essentially fulfills the NPS’s desire for better citizen representation and greater participation in the political process. The past theories of public administration, The Old Public Management (OPM) and The NPS, created an environment that removed discretionary activity from street-level administrators. This kind of environment disconnects the citizenry from the government. The OPM theory of administration, pioneered by President Woodrow Wilson, argues that administrative bodies should be separate from the policymaking process. It claims that administrative functions work best when operating in a strict hierarchical setting. Essentially, administrators have a problem that is described and fixed by their managers. The administrator’s job is to act within the instructions they receive. Under the system of OPM, the American bureaucratic state expanded greatly, but also became less responsive at the street-level. This outgrowth of unresponsive bureaucracy caused costs to balloon and people to view services as less effective. The NPM theory was then seen as the answer to OPM’s problems. The NPM theory of administration views privatization as the solution to complaints levied against The OPM. The NPM essentially believes that the government should be making sure the free market provides services for the country. The NPM also asserts that the private market can offer public services in a more cost effective and efficient manner. This shift is driven by the idea that costs drop dramatically as the government downsizes and the free-market picks up services. In this scenario the bureaucratic state continues to expand, acting as a regulator for contracted services. This shifts the role of public administrators to watch-dogs rather than service providers. The two administrative theories of the past may have worked for a short time, but there are major flaws in their logic. The OPM, with its hardline approach of separating politics and administration, cannot sustain itself as the bureaucratic state grows and expands. Nor can it last as the bureaucratic state takes a larger role in the economy and policy execution. The NPM’s downfall is a focus on privatizing government services to save money. This leads to poor service quality, as the desire to make a profit will be inherent in the privatization of services. Both glaring flaws lead to a disconnect of people from their government, disenfranchising the citizens. For The OPM, the disconnect between administration and citizens comes from its inflexible organizational structure; because administrators are beholden to their higher-ups, with little room for discretion, any issue will need to move up the chain of command. This is a slow and tedious process that will certainly anger the citizenry. Because The OPM is removed from the policymaking process, problems that could be solved with administrative recommendations continue to go unsolved. The NPM’s issues come from the privatization of government services. When the government moves from providing services to regulating services, it removes itself from the day-to-day interactions of most citizens. People will look towards a service that the government normally provides and see a private corporation doing it. 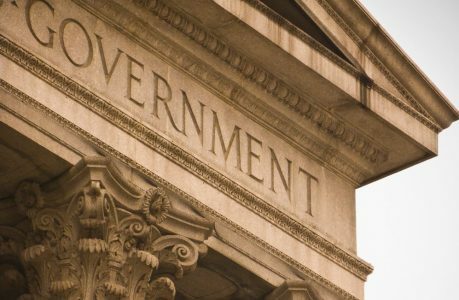 This can cause people to believe that the government is absent in people’s lives unless they go to the DMV or apply for some still-existing governments service. Such tasks are commonly tedious and aggravating due to funding shifts towards contracts for private entities rather than funding for government services. For the citizenry, this new reality completely removes people from the government and makes citizens believe that it is not needed. Citizens then are less likely to get involved in the policymaking process within administrative channels. In the NPM’s theory, an administrator’s discretionary activity is limited by the bounds of the free-market, not by actual need. The past administrative theories of America have created an environment where administrators cannot act with discretion, disconnecting them from the citizens they serve. For Americans to become re-enfranchised, as The NPS wants, administrators will need to embrace discretion in an environment that promotes organizational democracy, giving every actor a say in the operation and solutions related to their agencies.